Malaysia is home to some of the most beautiful flowers in Asia. Flower farms and nurseries at Cameron Highlands cultivate premium blooms flower aficionados would love to set eyes on. Though if you are not up to traveling all the way to the farms, you can always order them online. The following flower delivery services in Kuala Lumpur and Klang Valley not only make gorgeous arrangements from flowers Malaysia, they can also be trusted to transport your orders in a timely and efficient manner. A Better Florist is already known in Singapore as one of the fastest flower delivery services there. Their expansion to Malaysia, their main source of premium blooms, is a natural path to take. Fortunately, they’ve also maintained their speedy delivery of flowers KL with their 90-minute guaranteed flower delivery for free to all KL and Klang Valley locations! Order before 3pm for same day flower delivery. Aside from their remarkably fast flower delivery, their talented florist also manages to handcraft bouquets and arrangements on the same day of purchase to ensure maximum form and freshness for your orders. Arrangements are modern with a rustic touch using burlap wrapping or twine-wrapped containers for flowers in full bloom. Giflorist Florist began as an online KL florist in 2016. Their specialty floral products are designer bouquets, table arrangements, balloon bouquets, cakes, opening and condolence stands for all occasions, including events like weddings and proposals. You can also request for a bespoke bouquet for special occasions requiring thoughtful and customised creations from a master florist. All their gifts and fresh flower arrangements are available for free same day delivery all over KL, Klang Valley and Selangor. To get your flowers on the same day, don’t forget to order before 11am from Monday to Saturday. Sunday orders will be processed and delivered on the next working day. Since Heva Gifts is a florist and gift shop in one, you can save a lot of time and money by going through their curated collection of combined flowers and gifts based on different occasions. For instance, they have the Mon Amour Collection and Love Collection for any romantic occasion, such as Valentine’s Day or an anniversary, while the Happiness Collection can be appropriate for birthdays. If you want, you can customise the package by selecting your preferred add-on gifts from their catalogue of gifts and pastries. Remember to place your orders before 1pm for same day delivery. With more than 4 years in the market, Heva Gifts has become one of the go-to florists for fresh tulips in Malaysia as well as homemade chocolate dipped fruits and marshmallows. However, out of all their achievements, it is their 70% return customers that they’re most proud of. DELIVERY FEE Delivery fee varies depending on the area. If you don’t mind splurging on bouquets and flower arrangements, Summer Pots Florist has a range of opulent and luxurious floral products for you. Their user-friendly online shop interface makes it easy for you to complete your transactions safely and securely. You can also check out other floral services they provide in case you have interests in fresh flower table arrangement or you would like a consultation for events and launches. Mekar Malaysia is a florist that designs and delivers flower arrangements – vase, bouquets, baskets – to Kuala Lumpur and Selangor. Established in 2015, the shop has already provided floral decoration services to corporate companies, hotels, government sectors, personnel, and households. Visage Dawson is known for several flower services in KL and Ipoh, including weddings, event decorations, workshops and flower delivery. Outside their excellent selection of hand bouquets and flower arrangements for various occasions, customers can also request bespoke arrangements. You can basically customise an entire bouquet, from the type of flower to wrapping paper and even the design of the bouquet. Whether you want it rustic or classic, simply reach out to them via WhatsApp and you can begin crafting the perfect bouquet. TheFloristMarket is a Malaysia flower marketplace that has a comprehensive and user friendly platform with over 20 florists and 300 flowers selections. You can filter bouquets and flower arrangements based on occasion, location, popularity or price. To give them ample time to handcraft the perfect floral design, order one day in advance to receive your flowers on time. The flowers from this Malaysia online florist look lush and garden-fresh. Garden Scents’ goal is to deliver happiness with each bouquet, and it shows on their picture perfect products designed to put a smile on your face. The overall catalogue is a mix of oriental, traditional and modern designs. So, there’s something for everyone. If you don’t mind browsing a large catalogue of flower arrangements, then Pureseed’s huge collection is worth a peek. Of course, you can always filter by occasion and price to narrow your search. They have everything from bouquets for the budget conscious to large and opulent arrangements for the generous giver. They provide same day flower delivery KL and Klang Valley for orders placed before 1pm. SELECTION SIZE On pre-order basis. PRICE RANGE Prices vary. Available upon request. The Scarlet Flower excels at creating designer bouquets. They also welcome orders for bespoke bouquets and customised arrangements if you need something more specific. Perhaps you want to choose a certain colour as the theme or use your significant other’s favourite flowers as the focal blooms, let them know and they’ll craft a unique arrangement just for you. If you’re pressed for time and just want to order from their gallery, their ready-to-order flowers in hatboxes are very stylish. Nook Flowers is a boutique floral and event design firm based in Kuala Lumpur. They offer bespoke and luxurious floral designs using tasteful colour palettes and incorporating Nook’s signature whimsical style with a touch of bohemian flair, shabby chic or vintage elegance is added. This makes each bouquet or arrangement unique. Nook Flowers uses locally sourced, seasonal flowers, natural packaging and recycled materials as much as possible in line with their commitment to the environment and conducting business in harmony with nature. Floristika is a wholesale florisculture center based in Kuala Lumpur. If you want to start a DIY flower design project, order your wholesale flowers from this shop. You can select flowers – for example, tulips – in different colors per bundle. Petit Petal Co works with cafés and restaurants to make their spaces brighter and cosy for customers. Their expertise at crafting simple yet elegant centrepieces can be seen from their gallery of flowers KL. Their small, but dedicated team will make sure you get arrangements perfect for blooming your home or as gifts to your loved ones. You can message them directly on Instagram for your orders. The owner, Michelle Latif, is a self-taught florist who uses her love of flowers and passion for floristry to create one-of-a-kind arrangements. Whereas in other online florists, customisation is an add-on service, with Michelle’s Flower, you get a personal touch each time. Call or email them directly to place your orders. Their decorative flower arrangements, like wreaths and hanging bouquets, are particularly eye-catching. DELIVERY FEE Free delivery for KL and Petaling Jaya. J Flower has a gallery of impressive flower boxes which have been crafted to suit all occasions. Some of the bouquets already come with chocolates and other traditional gifts to help you make a good impression to your significant other. You can also pick from their selection of hand bouquets for a birthday, anniversary or for Mother’s Day. Flower delivery KL is free for Kuala Lumpur and Petaling Jaya. Being affordable doesn’t mean you can’t avail premium! De Flower Bar offers deluxe flower arrangements (vase, hand-tied, table) at reasonable price tags. For every special occasion, such as Valentine’s Day, the shop releases flower collections for a limited time only. DELIVERY FEE Free for deliveries to Klang Valley and select areas in KL. The signature flower boxes of BloomThis are not just pretty, they’re also practical and recyclable. You can choose from their curated selection which ranges from MYR 60 to upwards of MYR 300. Flower lovers can also subscribe to their budget-friendly weekly deliveries of bespoke bouquets to give as gifts or for blooming your home. Order before 1pm for same-day flower delivery KL. Sweet Love Flower and Gift Florist has a large catalogue of different floral arrangements for various events and occasions. They update their collection based on seasons and occasions. They have floral designs for the holidays with festive and vibrant colours to get you in a celebratory mood. Their large, opulent bouquets will surely impress your significant other for your anniversary or on Valentine’s Day. DELIVERY FEE Free same-day delivery for most locations in KL and Petaling Jaya. Happy Bunch makes buying flowers simple and fast. Choose between regular or luxe flower bunches and leave the rest of the details to their florist. A regular bunch starts at MYR 42 while luxe flower arrangements start at MYR 89. Don’t overthink it, just let the experts surprise you! Order before 12:30pm for same day flower delivery for your flowers KL. Bloom2U is not afraid of colours. While the trend seems to veer on minimalism and subdued earthy colours or pastels, the hand bouquets at Bloom2U packs boldness and brightness. Even their flower cones are colourful, complementing the blooms used for the bouquet. Same Day Delivery in KL and Klang Valley is available for order and payment done before 12pm. And if you want the flowers to be delivered in the morning, you have to order before 6pm on the day before the delivery date. For grand gestures and proposals, you can order one of My Flower Florist’s special big bouquets. No one can resist your “I LOVE YOU” or “I’M SORRY” when presented in all caps. 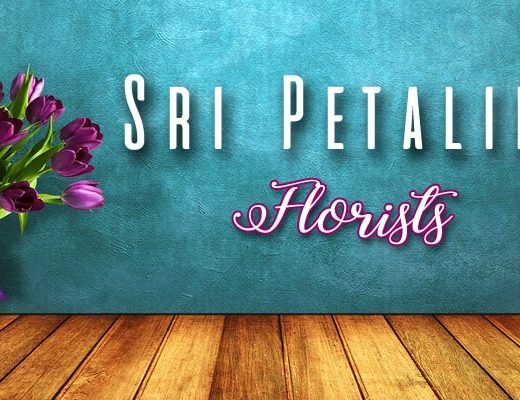 They provide both next day and same day flower delivery in KL, Klang Valley, other areas in Malaysia as well as Singapore. Orders placed before 12pm will be delivered withing the day. Instead of categorizing based on occasion, February Bloom organised their catalogue based on design. From pretty, pink floral boxes to a super large bouquet of baby’s breath, February Bloom keeps it simple and stylish. Giftr is your one-stop-shop for flower and gift delivery in Malaysia. You can shop based on your budget, occasion, recipient or simply use the nifty Gift Finder feature to pick out the perfect present. For flower bouquets, they feature floral designs from top-rated florists and flower shops in Malaysia so you can quickly compare and contrast to find the perfect bundle of blooms. Bloom is an online florist and gift shop catering to all occasions. The user-friendly online shop make it easy and convenient to express love and affection with a surprise delivery. You can add on chocolates, toys, balloons, wines & champagne, even healthy products for the perfect care package. Same day flower delivery is available for orders placed by 2pm on weekdays and by 11am on Saturdays. They also provide a 3-hour express delivery in Kuala Lumpur and Selangor. SELECTION SIZE Based on order requests. A&E’s rustic flower arrangements feature more filler foliage and greenery to bring about a more bucolic quality. They call their flower delivery KL as “lo-fi floral & multidisciplinary creative studio.” Certainly, they do churn out unexpected and creative collections. In fact, bouquet flowers vary per order depending on the availability of blooms, and it seems this element of surprise is a novel and well-received service for flowers KL. Founders Cherlyn Tan and Claris Lew officially started Daun & Petals as an Instagram florist in July 2016, showcasing their artfully arranged regular bunches. Now they’ve grown their catalogue, featuring their lavish Super Bunch, personalised Gift Box and unique Custom Bucketlist. They also offer floral styling for weddings, editorials and special events, always making sure they put their signature stamp of creativity of innovation. 50Gram is the only flower delivery KL that offers video bouquets. With this service, the bouquet comes with a personalised video through a QR code which the recipient can scan in order to view. Their bouquets come in small and regular sizes to accommodate a wider range of budgets. They deliver flowers KL to Klang Valley and Penang between the hours of 12pm until 6pm. Vin Florist and Gifts delivers flowers daily from 10:30am until 6pm, so make sure you place your orders before the final hour if you want them sent out on the same day. They also allow one free of charge amendment or replacement of order, subject to investigation, in order to ensure customer satisfaction. As indicated in their name, you can also find gifts and add-ons apart from the standard flower arrangements. Their grand opening flowers and hand bouquet collections are the most extensive.